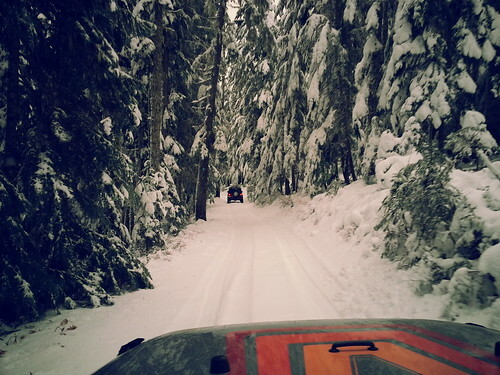 Day 2 of our recent “Wheeling Extravaganza” had us headed to the Mt. Hood Wilderness to run the first section of Barlow Road. This road is of significant historical value, as it part of the original Oregon Trail, and where landowners would setup toll booths to collect tolls from folks headed further West. We aired down from the parking lot and were surprised to see about six inches of snow on the ground. We started rolling about 3:00 PM. Airing down in the parking lot. Is that an old 90s R&B track? The first section had quite a bit of snow, and it was a pretty good descent into the first valley. As we progressed, the snow became thinner and thinner, eventually disappearing completely. 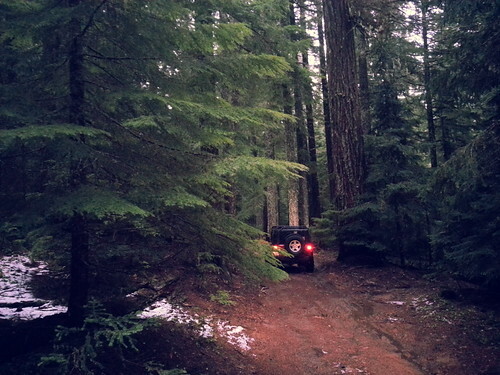 This is not really a Jeep trail per se, but I bet a car could get hung up in some spots if the driver was not careful. Some of the water crossings were also very deep, so I am glad we left the Fiesta at home. The snow all but disappeared at lower elevations. 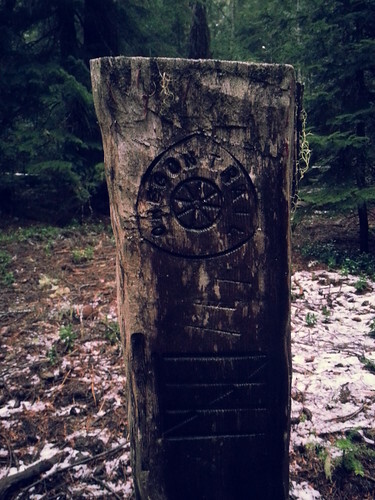 Really cool mileposts lead the way and provide more historical relevancy as you make your way along the trail. We ended up pulling over and doing some shooting for about 30 minutes. To be back home by dark, we turned off after the first section and made our way back to 26. This trail has some amazing camping sites and I am really looking forward to coming back this Summer.